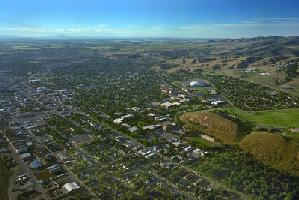 Pocatello, located in the southeastern corner of the state, is Idaho's second largest city. 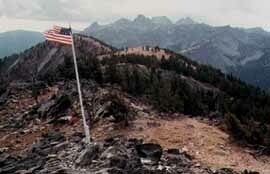 It is also home to Idaho State University. 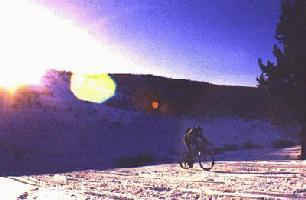 One of the most popular outdoor activities in the Pocatello area is ice biking. Hmmm...wonder if they make chains for bicycles. Well, the scenery is lovely, but I believe I'll pass on the ice biking. 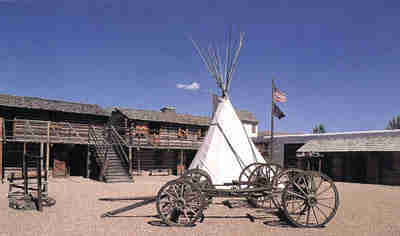 Fort Hall, one of the first permanent settlements in Idaho, was established by the Hudson Bay Company. It later became an important stop on the Oregon Trail. Does anyone know why there would be a teepee in the middle of a fort? Idaho Falls is the County Seat of Bonneville County in the eastern portion of Idaho. The city owes its existence to the mighty Snake River. It was and is a crossroads for travelers. 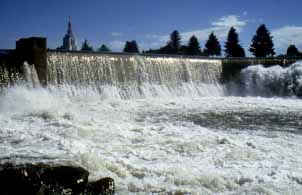 Idaho Falls is situated in the Snake River Valley. 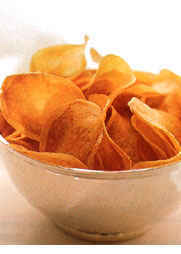 The Burbank Russet (those famous Idaho potatoes) is the major crop, but a lot of wheat and alfalfa is also grown in the area. 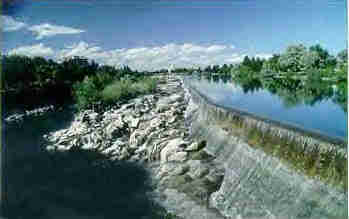 The city was originally built as one of the few good places to ford the Snake River. Townspeople later built irrigation systems that have created an agricultural basis for the environment. Hell's Canyon is the deepest river gorge in North America, averaging 5,500 feet over its 40 mile length, but reaching 7,900 feet in places. 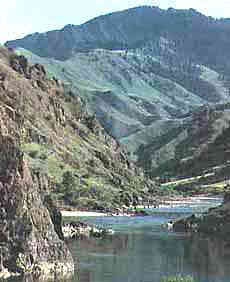 More than 600,000 acres of the Hell's Canyon National Recreation Area straddle the Snake River Canyon and includes part of National Forests in both Idaho and Oregon. 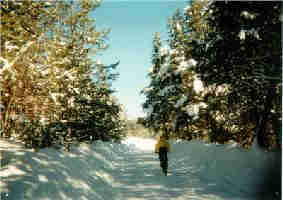 Let's head out and we'll go see Idaho's Panhandle.